“Slow” seems to be the word of the week. First, because while visiting with family over the Thanksgiving holiday, I contracted strep throat and had to rest in bed a lot. The word “slow” has also been coming to me lately to describe the whole process of publishing a book, particularly a print one with any kind of a promotion or marketing campaign. Of course, this all assumes that you have a day job, a family, etc. In other words, not a lot of spare time. So the review requests trickle out, and then hopefully the acceptances for reviews trickle in. The press reviews go out, probably without much impact. The second proof is coming in the mail with my adjustments to the cover, and now it’s pretty much a waiting game until I can get the whole shebang up on Amazon for sale. The worst part is that when I’m sick, I find it nearly impossible to write, so that has pretty much crawled to a standstill, for this week at least. Here’s hoping next week is better. The best news right now is that my daughter asked to read my first proof copy and told me in a bold voice this morning that it has a GREAT beginning that hooked her right away. Go me! So excited! I can’t describe how good it feels to hold a copy of your own book, even if it’s only the first proof, even if you can see minor defects on the cover that you instantly want to fix. The interior formatting looks AWESOME–I love how it all turned out! My pencil drawings look great in print and the font is clear and easy to read. I used 12 Garamond, very professional looking. So for my list of things to be thankful for this year, I am thankful for all the writers out there who have gone through this journey already and have offered many words of advice–thank you! I’m thankful for the support of my family, in particular my daughter who is excited to tell her friends that her mom is an ‘author’, lol. And I’m thankful the the technology that allows this new renaissance in publishing and sharing of the written word. So a very Happy Thanksgiving to all! Posting a copy of the press release I just sent the local news organizations to my blog here. Zerrick Dhur feels the call of magic in a newly colonized land where witches are burned at the stake. Unfortunately, it is his father, the Reverend who leads the religious furor. Zerrick must find a way to escape and choose whether to renounce or embrace his newfound power. Only by travelling deep into the strange continent can Zerrick find the source of magic and understand what it means to be a witch. Zerrick’s world shares similarities to our own world’s period of colonial expansion, and the questions which can emerge when different cultures collide. Goodwin based the language and culture from a mixture of Native American and Australian Aborigine origins. One character in particular will amuse readers with his laid back wisdom, Mok, an old scout who befriends Zerrick and becomes his guide. Goodwin, a native of Arizona, grew up in a mixture of cultures. Her ancestors came out to Arizona in the late 1800’s in a covered wagon, and the Goodwin family was one of the founding families of Tempe, where she grew up. She has had short stories published in several small press magazines. One of her poems was nominated for the Rhysling Award in 2005. 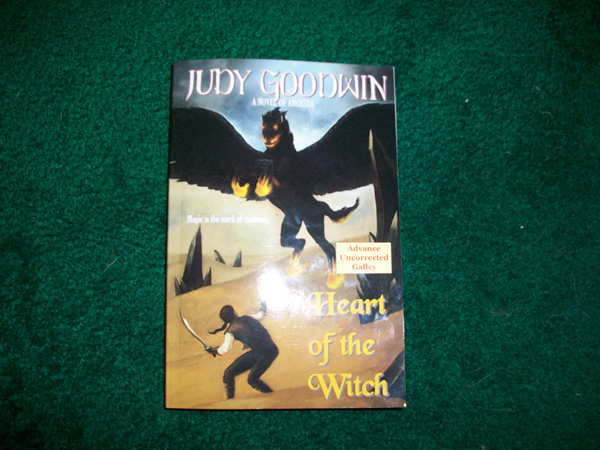 Heart of the Witch will be available in eBook form on December 21, 2012. The print version will be available from Amazon on January 10th, 2013, courtesy of Diamond Print Press. Judy Goodwin is available for media interviews and can be reached using the information below or by email at judygoodwin@diamondprintpress.com. 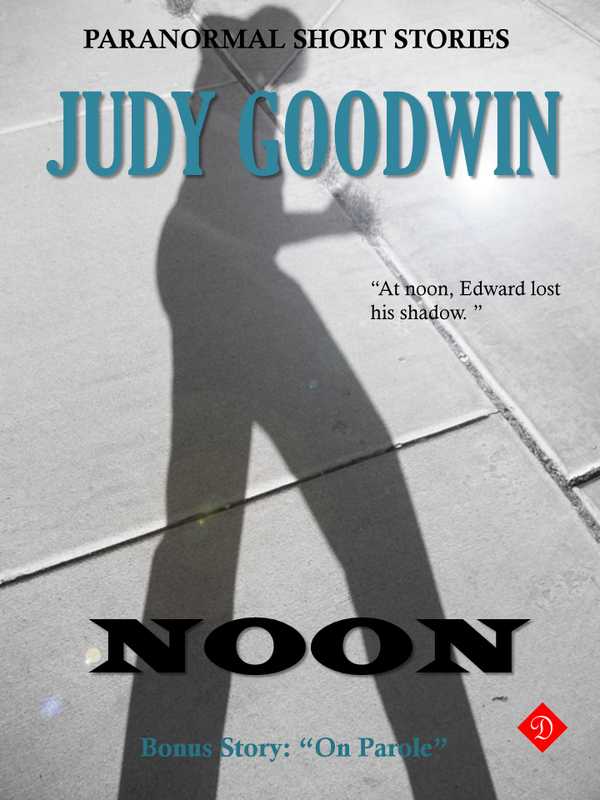 Profile: Judy Goodwin was born in Phoenix, grew up in Tempe, and earned her degree in Creative Writing at the University of Arizona. She lives in Gilbert with her daughter, four cats and three dogs and keeps busy with gardening, drawing and local charity work. Besides writing fiction, Ms. Goodwin was a technical writing consultant for Arizona agencies, including the Arizona Department of Education and the Area Agency on Aging, Region One in Phoenix. Well it’s done–the print cover for my ARC (Advanced Review Copy) has been sent to Createspace, and I’ve ordered a proof so that I can see how it all looks like in print. I’m worried that some of my fonts on the cover may be below 300dp and blurry, so I guess I’ll see how it turns out. This is my first time doing any of this, so it’s both exciting and nerve-wracking! I’m very grateful to Jennette Green who wrote How to Format Book Covers for Print Publisher in 8 Simple Steps. Her guide for using Createspace templates and converting to CYMK color and making pdfs probably saved a lot of my hair from being pulled out, though the process was still very involved, even with my computer and art knowledge. I’m so happy I have Photoshop, even if it’s an older version. I can’t imagine trying to create my own cover without it. Another of her books also guided me through the interior formatting of the book, and it was highly valuable there too. I totally recommend it, especially those beginning writers out there who can’t shell out tons of money for Adobe Creative Suite; her instructions were for Word. While I’m waiting for the proof, I’ve also been working on the marketing side, sending out requests to review the novel. I’ve also prepared a press release to send to local news outlets. It’s a brave new world, being your own publisher. My next post, I hope to be ready to announce my new website. Last day of my free promo on Amazon! Edward finds himself in deep trouble when his shadow walks off–without him! Voodoo princesses, a trouble marriage, and graveyard meetings are all the things he encounters on his hunt to find his shadow . . . before he dies. FREE today and tomorrow at Amazon!! At noon, Edward lost his shadow. He has twenty-four hours to get it back . . . or die. Exciting news! 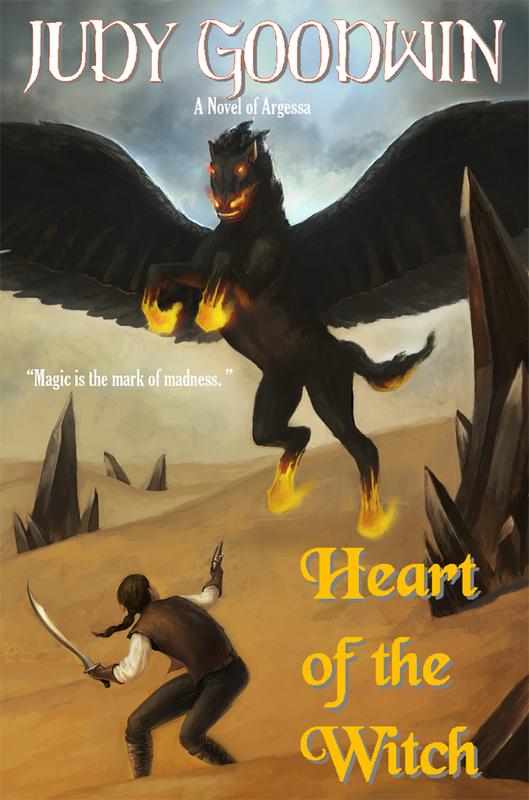 I just completed the eBook ARC (Advanced Reader Copy) of my fantasy novel, Heart of the Witch! I’ll be sending out copies to bloggers to review. I would also be open to exchange a review or two with writers of fantasy, dystopian fiction, or paranormal thrillers. I might also consider YA paranormal. I ask that reviews be posted to blogs, Goodreads, and Amazon or Barnes and Noble, and for exchanges, I would post the same. My reading schedule tends to be busy, so it might take me a month or two. The eBook version of the book will be available for purchase on December 21, 2012. I’ll be conducting a blogging tour to promote the book. You can also contact me if you are interested in hosting me or exchanging guest blogs. Please email me if you’d like an ARC of the novel to review at azboyer@q.com. Let me know what format you would like it in.